The Deputy Principal of Academic Services, Mrs. Zandile Nkabinde, represented Majuba TVET College in Malaysia on a study tour to explore new strategies for an online learning system that is innovative and supportive to lifelong learning. As stated in the National Development Plan and White Paper for Post-School Education and Training (DHET 2013) that TVET Colleges in South Africa should reach a target of 2.5 Million enrolments by 2030. 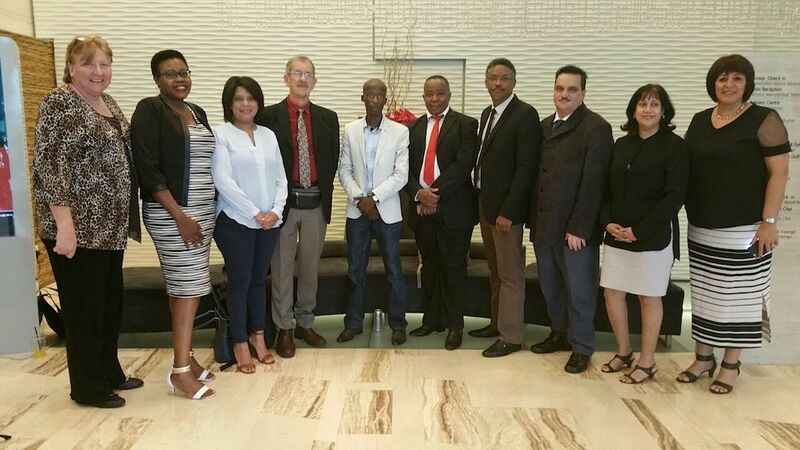 The purpose of this study tour was for delegates to discuss pertinent issues impacting Open and Distance Learning, and evaluate the Malaysian Open Learning System in order to identify areas of excellence from which to learn best practices that can be implemented by South African TVET Colleges. The delegation to Malaysia was formed by representatives from the Department Higher Education and Training, Academics from Universities, and Deputy Principals of Academic Services from TVET Colleges. “The study tour began with visits to different educational institutions such as Wawasan Open University (WOU), Open University Malaysia, and the Ministry of Education to learn about different Learner Management Systems (LMS) that are used in Malaysia” said Mrs. Nkabinde.